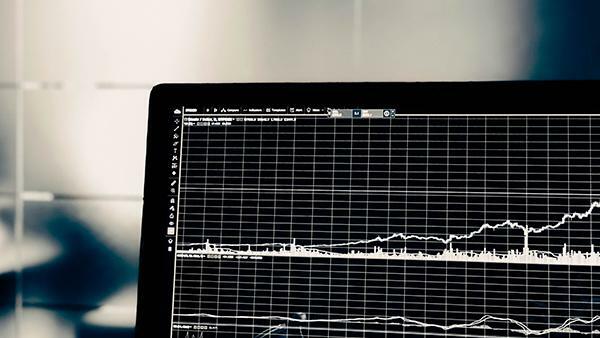 Time has passed, but one thing has remained the same: As current overall markets have again been ticking upward for quite a while, I’m again hearing investors fretting over when the fall will arrive, and whether they should try to get out ahead of it. Since my response remains the same today as it was then, I’ll reprint it for your re-viewing pleasure, updated to reflect the most current available data. Is There Going to Be a Market Correction? The subject is not a new one to us. In August 2014 and again in 2015, we posted this Q&A: “Is there going to be a market correction (and, if yes, then what)? In light of current events, we’ve now updated that post with current year-end information. Just as it takes no special skill to predict some days of sub-zero temperatures this winter, we were not being prescient when we said that we would probably experience a correction sooner or later. One need only consider abundantly available evidence to recognize that, viewed seasonally, the market frequently “corrects” itself, sometimes dramatically. It’s only when we take the long view that we can see the market’s overall upward movement through the years. For example, consider this Dimensional Fund Advisors slide depicting the US stock market’s gains and losses during the past 35 years. The narrow lines illustrate wide swings of maximum gains and losses in any given year. The blue bars show the year-end gains and losses after the dust has settled. Clearly, far more years ended up than down, for overall abundant growth. This illustration is substantiated by similar findings from JP Morgan. 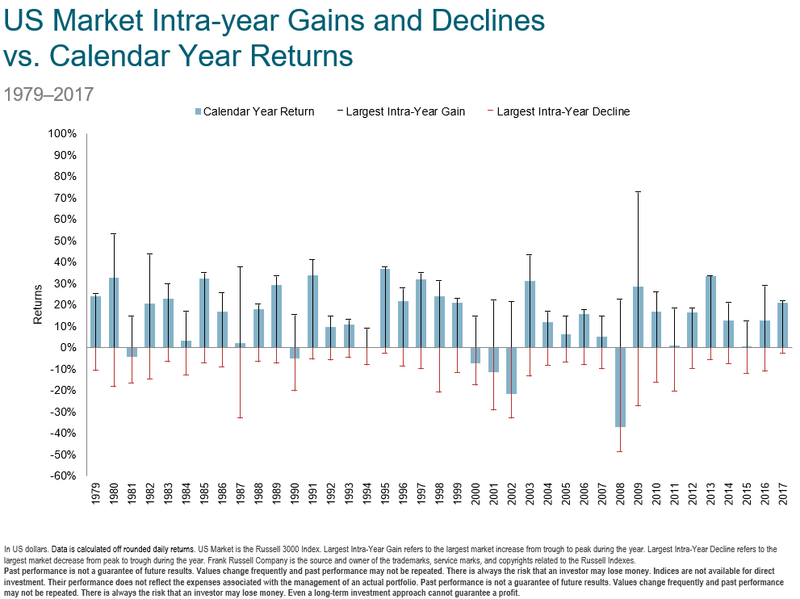 According to their data, covering 1980–2017, the average intra-year decline of US stocks (measured by the S&P 500) was 13.8% per year, but the annual returns were positive more than 76 percent of the time, in 29 out of those 38 years. From this perspective, investors are best advised to stop seeking to correct their own investments in the face of market corrections … if that’s what you want to call them. Corrections happen. But like this winter’s weather, we cannot foretell precisely when they’ll occur, how severe they will be or how long they might last. If there is any real surprise when a correction occurs, it’s that it didn’t happen sooner. Markets often go years at a time without any meaningful pullback. The current record-breaking bull run for the S&P 500 is an obvious example (at least as I draft this post). When the markets do recover, they tend to do so suddenly, dramatically and without warning. If you try to dodge the downturns, odds are that you’ll miss some of the best upturns that often follow on their heels. If we haven’t already made this abundantly clear, we believe the best course of action is to be guided by your personal financial goals rather than near-term market volatility; this almost always means staying the course during the downturns and run-ups alike. To help stay the course, it’s vital to have enough liquidity for your purposes, so you can continue to comfortably meet any cash-withdrawal and short-term financial needs. Ready to start maximizing the probability of achieving your financial dreams?